Premier League Manager is designed to provide comprehensive management of league table construction from marketing/CRM data, then score maintenance and draw reports. 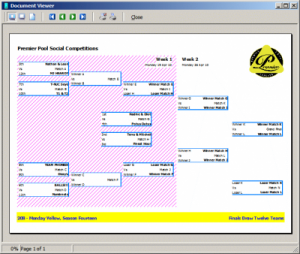 Match scores are easily entered and automatically published to the league website as well as printed for notice board publication. Player accounting features and performance statistics are also maintained. Premier League Manager is written in Delphi and uses MySQL as the datastore.